A scheme for the construction of fiber laser systems for the generation of tunable ultrashort optical pulses is proposed. The scheme is based on the self-Raman shift of the soliton frequency in dispersion-decreasing fibers with the subsequent spectral broadening owing to the supercontinuum generation in a short highly nonlinear fiber and the compression in the corresponding fiber compressor. An all-fiber laser system for the generation of ultrashort laser pulses in the wavelength range 1.6–2.0 μm is experimentally demonstrated. In particular, the shortest pulses with a duration of 24 fs are generated at wavelengths of 1.8–1.9 μm, which corresponds to less than four optical cycles. 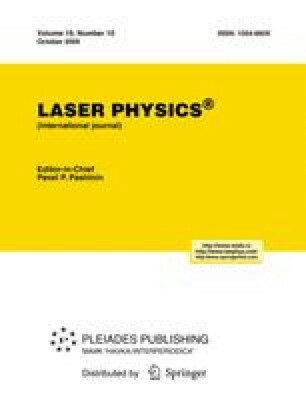 This article is based on the report 9.5.1 presented at the XVII International Laser Physics Workshop (LPHYS’08, Trondheim, Norway, June 30–July 4, 2008). Original Russian Text © Astro, Ltd., 2009.